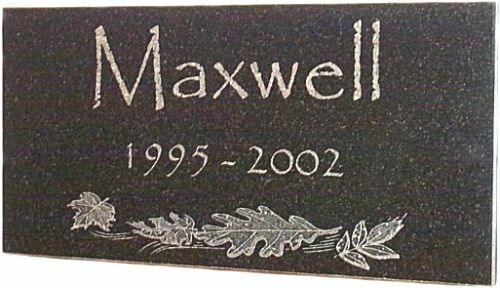 Our Granite Pet Grave Markers are engraved with breathtaking artistic quality to create a long lasting memorial for your special friend. Although initially designed with Pets in mind, we often create these Markers to memorialize people as well. See our ENGRAVING OPTIONS page to pick out a Text Font Style, then fill out our order form, and mail or e-mail it to us along with the engraved text and other images you would like. Not sure what text and font type to choose, or images to add? CONTACT US for help, we have done many unique themes and are always creating more.